Do you have trouble seeing in the dark? Well, if you’re camping out in the woods at night, or leaned over the open hood of your car trying to figure out what went wrong as smoke blasts you in the face, you could use a pair of headlamps! When it comes to lighting up the dark, a headlamp can be a consumer's best friend. 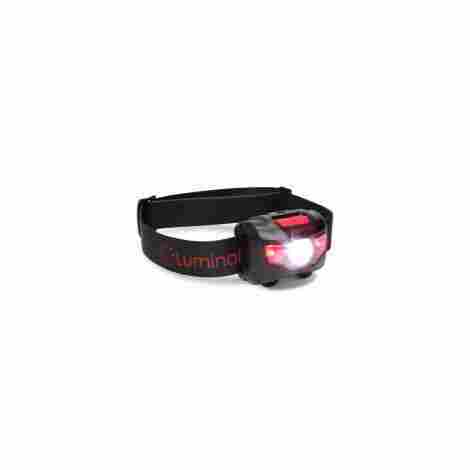 In this, we wanted to ensure that, whatever headlamp you consider, it's the best one. So, we performed an update on this buying guide to offer greater assurance to our readers. You will learn more about the evaluation process and the criteria that we used to measure and evaluate each product by. We also answered some of the most commonly asked questions, which can be found at the very end. When you’re trying to see and do something else at the same time, there’s nothing that can beat a good headlamp. With its hands-free design, it really is a boon for outdoor enthusiasts. Whether you’re hiking, mountain biking, skiing, camping, headlamps are indispensable. They’re even more indispensable if your job depends on your ability to see while retaining the use of your hands. That means it’s great for underground miners and surgeons and a host of other occupations. But that’s not all. Even if you’re not particularly an outdoorsy type, and even if you’re not part of a search-and-rescue team of heroes, you can’t go wrong with headlamps. Seriously, their uses are virtually endless! If you need something from your basement and the lights are out, use a headlamp. If you want to clean your dingy attic from corner to corner, use a headlamp. If you have a flat out in the middle of the freeway, just throw on your headlamp and easily find your way to the trunk to pull out a spare to replace it. Maybe you’d like to read in bed before you go to sleep at night without hearing all about how your spouse has to wake up early to go to work the next morning. So just close all the lights and use a headlamp! It’s not surprising that the Vitchelo v800 makes the top of the list. With a light yet durable design, it’s the perfect headlamp for all needs. Because of its simple features, it’s easy to change between light types. It even allows you to adjust the strength of the light with a simple button! That’s very handy when you’re switching gears. If you’re looking for practicality, you need a proper red LED light. 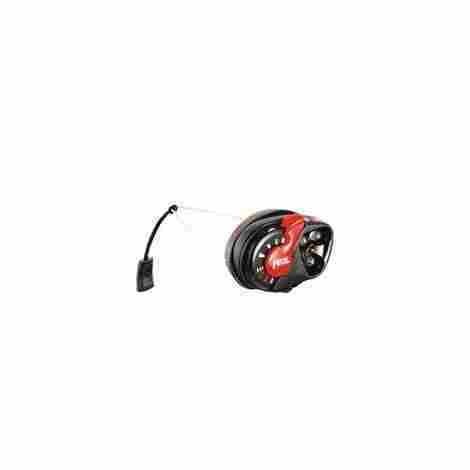 Where other headlamps will offer flashing or emergency red lights, this red light is steady and perfect for reading. If you’re out on a long, long trek down a winding, mysterious, dark road, you won’t have to worry about a wild creature sneaking up on you. You’ll be able to see it! If you’re looking for the most bang for your buck, you can’t do better than a Vitchelo v800. 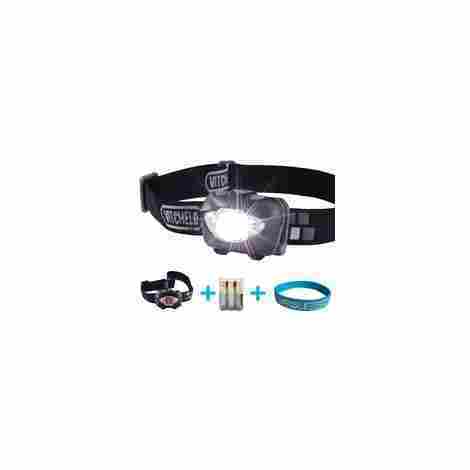 Despite being one of the cheapest products on the list, this is a versatile, all-purpose, reliable headlamp. If you’re looking for an inexpensive, high-quality headlamp, the Ultra Bright CREE fits the bill. 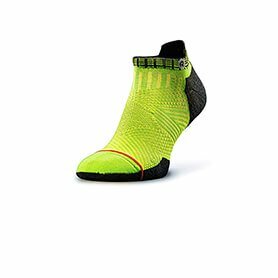 It’s sleek, it’s stylish, and lightweight—whether you’re jogging or sprinting, it won’t let you down. With a secure and adjustable elastic headband, its comfort quality is second to none. It’s even recommended for children. It even features a dual button design for ease of use. It can get annoying to have to click a single button over and over until you find the right light setting. Well, you won’t have that problem with this headlamp! If you’re running, you’re probably not craning your neck to look at the ground you’re on. 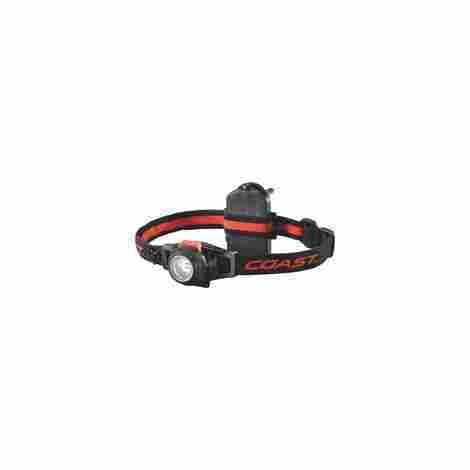 With this headlamp, just adjust the angle of the light towards the ground. This is another inexpensive, quality headlamp that’s great for anyone on a budget. It’s not only comfortable, it’s durable too, so you can expect it to last a long time. One of the most reliable products on the list, the Black Diamond Spot is the favorite of many. It’s relatively inexpensive, and yet it boasts an unbelievable 300 lumens of light. It’s sturdy, strong, and waterproof—making it a great addition to your camping gear. If you get caught out in the rain at night, you’ll have nothing to worry about. Many headlamps fall off or slip while you’re running, making for a very uncomfortable experience. Not this one. With its extremely sturdy construction, you can be sure it’ll stay in place. This is truly waterproof. Even if you drop it in a hole filled with water three feet deep and leave it there, fully submerged, for 30 minutes, it will not malfunction. Though more expensive than the previous two on the list, this is still a very economical buy. It offers up to 300 lumens, so you really do get more than you pay for. 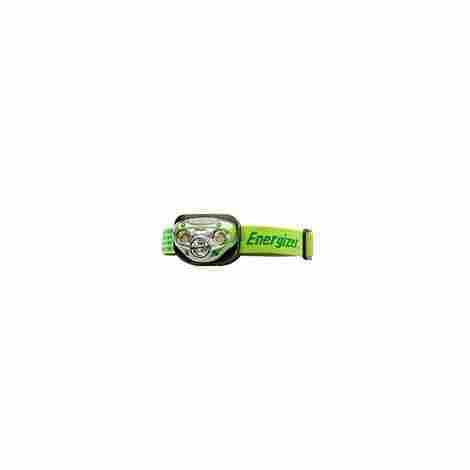 If you’re looking for a headlamp simple in its design and functionality, then Energizer Vision will do the job. It’s water-resistant and offers only four light modes, but they’re easy to adjust. You can even control how long you want them to run and how bright you want them to be. Simply put: simplicity is the name of the game. Its beam is up to four times brighter than most typical LED technology. That means that you can if you really needed to, see clearly for up to seventy meters. If you run at night or hike or do any sort of physical activity, then you’re bound to sweat and may even get dirty. Energizer Vision’s headbands are removable and washable. Another great, cheap product. It’s nothing fancy, and you get what you pay for. It’s been drop-tested to be long-lasting, easy to use, and highly functional. The Petzl E+Lite is absolutely perfect for emergencies. It will run in weather conditions from -30 degrees Celsius to +60 degrees Celsius. And if you’re in trouble and need someone to see you, it features a red beam that will allow you to be seen for over 300 meters. It’s also the smallest headlamp on the list, making it very portable. While other headlamps may burn out if you leave the batteries for them, you can keep the Petzl E+Lite in storage, with the batteries in, for up to ten whole years. If you’re performing a strenuous activity, you probably don’t want to be weighed down by something heavy clunky wrapped around your head. The Petzl E+Lite is small, 5 cm long, and light. About the same cost as the Black Diamond Spot, its purpose is wholly different. It won’t give you very bright lights, but it will give you a piece of mind. As you can see, not all headlamps are created equal. Some are great for the consummate outdoorsman and others are better suited for smaller tasks. The DanForce Brightest and Best is absolutely essential for the darkest of environments. Featuring up to 6000 lumens this is the brightest headlamp on our list so far. And perhaps surprisingly, it’s not even expensive. With 6000 lumens and 3 Cree bulbs, you’ll be able to see anywhere. Not only is the DanForce Brightest and Best durable and long lasting, it’s also extremely powerful. Sometimes in the outdoors, things don’t go as planned. The temperature might drop. Or there’s a heatwave coming on. 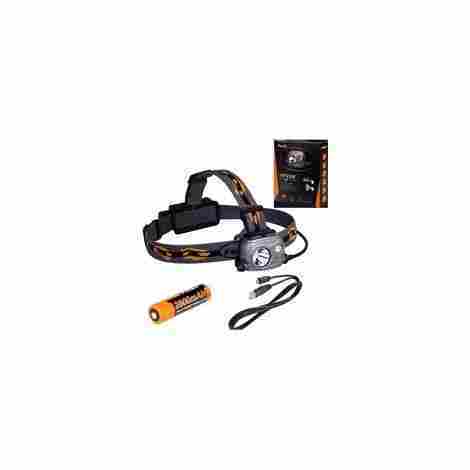 This headlamp is perfect for extremely cold or extremely hot temperatures. Although there are other products on this list that are in the same inexpensive price range as Danforce Best and Brightest, none are so powerful. And not only is the light exceptionally bright, you can even change the angle so you’re always able to shine it wherever you need to. You can even change its focus, from wide to narrow. This is one of the more expensive products on the list. It may not be suitable for those on a budget, but it gives meaning to the phrase “you get what you pay for.” With up to a 300-meter range, a 40 hour run time, and 850 lumens, this truly is ideal for camping, hiking, running, and search-and-rescue missions. If you have a sensitive head, or if you’re going to be doing something in the dark for an extended period of time, you can’t beat the comfort the Led Lenser H14R.2 offers. If longevity is your concern, this warranty should alleviate it. If an accident should occur, if it breaks, if the light stops working, you can rest easy knowing you’re covered. 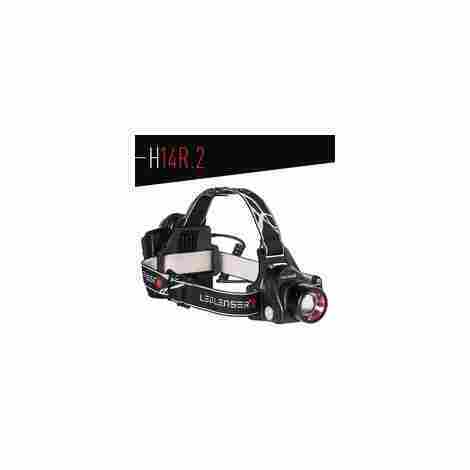 The Led Lenser H14R.2 is quite expensive. But for the value you get for the price, it’s probably worth it. Unlike most headlamps, this is sure to last you years. Lightweight, simple, and functional, the Coast H7 is great for those who need to do some work around the house. It’s fairly inexpensive and quite useful, but it only features 196 lumens, which is on the low end in this list. The high beam isn’t very bright and when you use it, the batteries drain faster. But it is easy to operate. Unique to Coast products, the Pure Beam Focusing Optic system allows you to switch focus easily, from spot to flood and back. This way you’ll never be caught off guard. Let your money travel far. Though the Coast HL7 isn’t the brightest headlamp on this list, it can still come in handy for those who need to see longer distances. It’s inexpensive and it works—that’s basically the selling point when it comes to the Coast H7. There are better headlamps out there, but this can be very useful sometimes. The Princeton Tec Apex Extreme is on the expensive end of the spectrum, but it’s of high quality if you’re going to working or trekking in extremely cold weather. It’s water-resistant for up to a meter and its light is so powerful that it’s almost blinding! It’s long-lasting too, so you’ll never be without a light on those long winter treks. Unlike most headlamps that may burn out after a few hours of use, the Princeton Apex Extreme has burn times of up to 100 to 200 hours, depending on the mode. The spotlight on the Princeton Apex Extreme is so strong that it’s not recommended to use it on road filled with people! It’s blinding and you might irritate someone. It’s on the expensive side, but depending on your needs, this may be the perfect fit. It’s particularly adept for freezing weather, for very dark spots, and for long periods. If brightness and durability are what’s most important to you, then the Fenix HP25R is what you’re looking for. Though its battery runtime is short, the light it emits is perhaps among the brightest in the business. Featuring 1000 lumens and four brightness levels, it’s incredibly practical when you need it in short bursts. There are even two beam options. Sometimes when you go out, you may find it an inconvenience to pack batteries. With the Fenix HP25R, you won’t have to worry. It comes with the ability charge via USB. Though other headlights on this list have better tilting mechanisms built, some don’t have it at all. With the Fenix HP25R, you get a 60-degree tilt for proper adjustment. Not too expensive and not too cheap, this falls somewhere in the middle. It is extremely durable and very useful for long distances or dark places. It’s quite worth it. And so, you have a list of excellent headlamps you can choose from, for all your hiking, biking, reading, running, and fishing needs! What you can do with headlamps is endless—as endless as the choices you have for headlamps on the marketplace. This list has been compiled, in part, with cost-effectiveness in mind. That’s not all though. All of the products on this list have been proven to be durable, long-lasting, and extremely reliable; the fact that you can choose one according to your budget is just a plus. There are headlamps on the list that are especially suited for particular activities, so please make sure you read and choose carefully! From the more light-weight models to the more heavy-duty ones, there’s something for everyone. From the brightest floodlights to the most steady red lights, your options are varied. But whatever headlamp you choose, remember to keep your eyes peeled for your next adventure—you don’t want to get left in the dark. When it comes to a buying guide, this is one of our favorite parts, and we know our readers thoroughly enjoy this section as well. Here, you are going to have an opportunity to get a behind the scenes peek at how each headlamp was selected for your consideration. I mean, you don’t think we simply pull names out of a hat, do you? We have a strict, rigorous evaluation process that every single product is measured with. So, you can assure that any product you read about above was carefully analyzed, researched, and evaluated on several criteria, which we are about to share with you below. Should you have any questions, check out the FAQ section, which follows the Criteria For Evaluation. As we started to pick out different headlamps for your consideration, one of the first aspects that we wanted to take into consideration was the quality of the build of the headlamp. We know what it’s like to purchase a product that appears high-quality and, the moment you receive, it’s a dud. Knowing this, before any product was placed on our “best list”, we thoroughly investigated and researched the product to make sure that the manufacturer only utilized the very best materials and design for you. To do this, for each product that we evaluated, we carefully looked at the reviews from customers who had tested the headlamp. We noted what products were highly-praised and removed those that had many negative claims. In this, we also looked at the pictures and studied the product descriptions to make sure that what the manufacturer described matched what the consumers were talking about. Of course, we did not stop our research there. We also consulted with numerous other websites and third-party sources. What you read about today are the best-built headlamps on the market, whether you are looking in-stores or online. Can you imagine purchasing a headlamp for a hiking trip with the family or your friends and, as the clock strikes midnight, all of the sudden, the bulb in the headlamp suddenly starts to fade into the night – leaving you and all of your friends or family in the dark? While many people are probably thinking a recent horror movie they have seen – this can be a common problem if you are not careful when purchasing a headlamp. This is why we carefully scanned each product to ensure that it boasted a significant battery life. Now, since the main purpose of a headlamp is to provide a light source, a battery life is one of the most important features that both consumers and the makers are concerned with. This is why, if you look at any of the products we shared with you today, the company proudly talks about the battery life of their product. We wanted to ensure that the headlamp you purchase can survive an extended period of time for those long hikes, journeys in the woods or reading a book while camping. For us, one of the most important criteria that we often used to evaluate products, like headlamps, is something known as the cost and value ratio. At the core, it’s important to make sure that you are spending your money wisely! The hard part is that many companies, especially in the headlamps, spotlights, and flashlight market tend to make their products so appealing; however, they are either overpriced or poorly built. With that being said, we carefully analyzed the entire market, noting what appeared to be a reasonable price tag for headlamps. From there, we asked ourselves: what value does this specific headlamp offer our readers? Through answering this question and knowing the price tag, we were able to draw some conclusions as to what products were the best of the best. We can all agree that the last thing you want when purchasing your new headlamp is for it to break in the middle of a midnight hike, reading in the tent, or whatever adventure you have in store. It would be a total letdown. Understanding the importance of durability, this was the main focus for us as we evaluated each headlamp. Whenever we scrolled across a new headlamp, we looked to see how the manufacturer was assuring the consumer when they were making a purchase. For example, did the company talk about the durability? Did they offer the consumer a warranty in case it breaks? For us, the best way to measure the durability was to consult with people who have used the headlamp. So, as we have discussed before, we went straight to the customer review section to gather insight to pick out only the most durable products. Here is the thing with headlamps: if you are not careful or do proper research, you might end up purchasing a headlamp that is incredibly heavy, which can do more harm than good. This is why it’s so important to also look at the size and weight of the product before you buy, which is precisely what we did. In this, we looked to see what lightweight properties the headlamps offered and tracked what products were the lightest by size. In this, we looked at what customer have said about their experience. IF there were numerous consumers complaining about the weight or the size, we removed the product from our list – just so you know. These 10 products today are only the very best. If we can be honest, warranties are probably one of the most important things that we look out for when purchasing any product. It’s sort of “our thing”. So, it would make sense that one aspect that we would evaluate each product on is whether or not the manufacturer offered consumers a warranty or a guarantee. Now, this is really easy to do and find out. The truth is, if a company is offering a warranty or guarantee for their product, you will know. This is one of the easiest ways for consumers to secure a deal, especially if they are not a well-known brand – or a company trying to break through. Now that we have covered many of the physical properties and build of the headlamps – another important aspect that we needed to evaluate was the actual performance of the headlamp, which means measuring the beam distance and the lighting capabilities. I mean, the whole purpose of these products is to light up whatever is in front of you, right? With that being said, whenever we looked at a headlamp, we carefully looked for how many lumens the product offered, whether the product offered LED lighting, what the beam angle was, and how far the beam traveled. As you might have learned on our list today, there are a wide variety of products for your consideration, depending on your need. If you are looking for a powerful, high-bright, and long-distance beam, you may need to purchase a headlamp with a higher lumen. 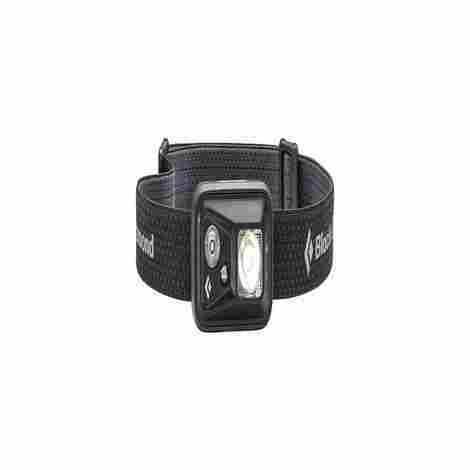 However, if you are only needing a headlamp for reading, you might want to go with a product with a lower lumen – all of which can be found on our list today. How long do the batteries last and how do you know when to change them? Typically, the length of time that a battery can last will depend entirely upon the quality of the battery that you purchase or use with your headlamp. Standard batteries will typically last between 6-12 hours of consistent use with a headlamp – sometimes even more. Now, if you are on the trail and you notice that the headlamp is less bright, or the headlamp’s light is dimming quickly, chances are, the batteries are on their way out and you need to change them. Does the headlamp come with batteries? This is a challenging question to answer because not every single headlamp is the same. Typically, most headlamps will come with an initial pair of batteries from the manufacturer. These will either be a standard pair of batteries or a trial pair for testing your new product. However, before you assume that a product will come with batteries, check in the product description or the “What’s in the box” section. Is the headlamp variable or does it come with manual settings? This is a great question. Again, not every single product on our list is the same; however, we made it a point to include products that were both variable and manual. So, depending on your need, there is a headlamp for every type of reader. Now, we made the process easier for you to figure out whether a product is variable or not. Simply just read each product’s section! If you are reading that a product has multiple lighting variations, such as low and high, it’s a manual flashlight. If there is no mentioning of this, it’s a variable headlamp. What is the difference between a waterproof headlamp or a water-resistant headlamp? A waterproof headlamp is significantly different than a water-resistant headlamp. We want to make sure all of our readers understand this distinct difference – just so you can purchase the best headlamp for your needs. A waterproof headlamp is one that can truly withstand water. These products are made from specialized materials that are impermeable – in other words, whether you drop your headlamp while running or it begins to rain during a hike, the headlamp will not get damaged. Water-resistant headlamps are different in the sense where, if you are running and it begins to rain, these headlamps are more subjected to breaking. 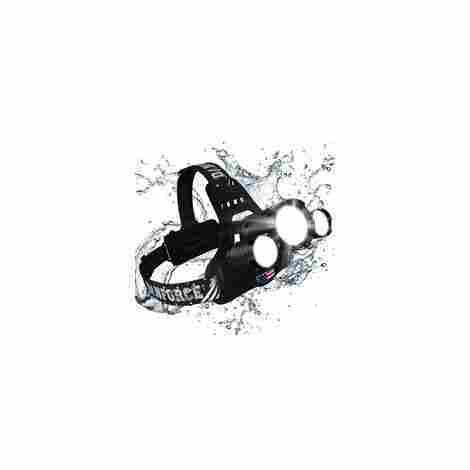 In fact, water-resistant headlamps cannot handle large amounts of water. Are headlamps good for running? Yes! 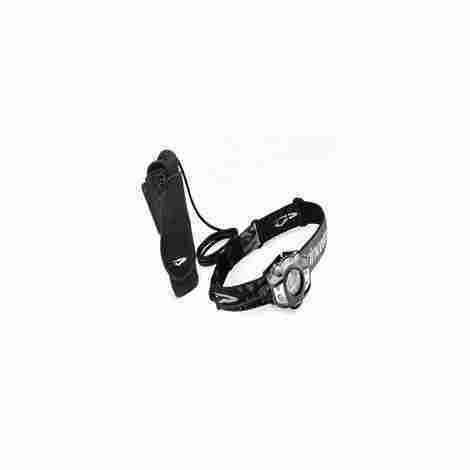 Headlamps are a fantastic product for running, walking, biking, hiking, reading – or whatever your need may be. You may choose to look at headlamps like a handless flashlight. Today, these products are quickly becoming a popular option among camper, hikers, and other outdoor lovers. In our opinion, everyone could enjoy the value and benefits from a quality headlamp! For example, whether its running or cleaning a dark corner in a house – a headlamp can light the way! CarBikeTech – What is an LED Headlamp?